You just called your kid what? 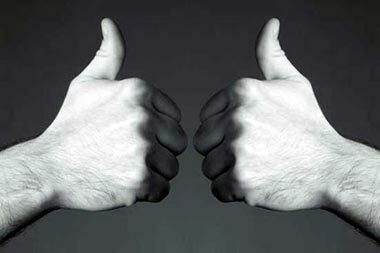 The word “rassgat” (a combination of “rass” and “gat,” which means hole/opening…you get it) can be used in two totally different colloquial manners. If you tell someone to “farðu í rassgat” or to “go to rassgat” you are telling someone, in no uncertain and pretty salty terms, to leave you alone and remove themselves from your presence, possibly to relocate to a dark and not terribly clean or cozy place. If, however, you are seeing a young relative, or perhaps greeting your friend’s adorable child, you can say, “Hvað þú ert mikið rassgat!” (Basically, “What a little rassgat you are!”) In this context, you mean “rassgat” as something really small and cute, something adorable and cuddly. But you’re also calling a child a rassgat, which for those of us who aren’t familiar with this sort of diminutive, can seem rather surprising. One of my classmates actually had a story about hearing someone refer to her friend’s child in this way and getting very offended on the kid’s behalf until it was explained to her. So, fun fact. You can call a child a rassgat in Iceland, and not get punched in the face by an angry parent. Vocab! Or, Icelandic the fun way. Icelandic language studies at the university may be characterized by a good deal of national pride in Icelanders’ great literary heritage, the nation’s veritable slew of firsts and per-capita records, it’s unique nature and uniquely bonkers weather patterns, but there is also a fair amount of irreverence mixed in, a willingness to poke fun at certain aspects of Icelandic life or the (stereotypical) Icelandic character, as well as slightly more scandalous (depending on your leanings) mix of study materials and subjects. This has been particularly, delightfully, evident to me in the last month or so. As many of you might know, the pagan festival of Þorri begins at the end of January and lasts for a month. Þorri feasts, or Þorrablót, have been very popular in Iceland for several decades (the tradition sort of died out and then was revived by an industrious restaurant owner in the late 50s) and, due to the let’s say…exotic…nature of much of the food, have been the subject of a number of televised, gross-out food adventure programs, such as Anthony Bourdain’s “No Reservations” (he goes to a Þorrablót during his extremely irritating Iceland episode). Þorramatur, via Wikimedia Commons. 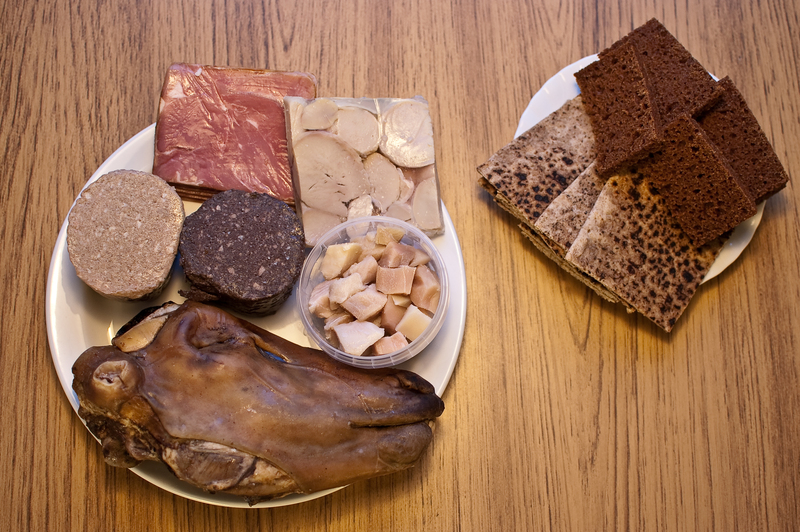 The jellied slice with white orbs is, you guessed it, the rams testicles, and the hákarl is in the dish. The sheep’s head is called svið. Back at the table, my dinner companion gustily carved into her sheep head and explained to me the best method of eating ear cartilage. I took her word for it and tried to show my sympathy when she discovered that her svið was, in fact, missing its most delicious eye. We swapped various unidentified meats. Feeling appropriately decadent, I made a return circuit of the buffet, filling up again on some of my familiar favourites—smoked lamb, salted lamb, and a dark red sausage of a jerky-like consistency. If the woman on my right had not caught me mid-bite and summarily informed me, while daintily cutting up her headcheese, that she did not eat horse “on principal,” I’d have never known the difference. Well, it just so happened that as I was writing this article, we were also reading about Þorri in one of my classes (I quoted one of my class readings in the piece, actually). It’s one thing to read about þorramatur, however, and a whole ‘nother thing to eat it. So for those of us who had not yet had the opportunity to attend a Þorrablót, our teachers decided to bring the partý to us. So instead of a coffee break, we had a þorra-break, with big tupperware containers of hrútspungar (pressed rams’ testicles) and hákarl (that fermented shark that you’ve heard so much about) for us to sample (much to the dismay of our olfactorily-sensitive vegetarian). “Sure, but did you bring any brennevín?” one of my classmates laughed. “Oh yes,” said my teacher very seriously, placing a full bottle of the “black death” on a desk and asking the student sitting there to start pouring shots. Which is certainly one way to get students to participate a little more freely. Fun discovery, though: I suddenly didn’t hate brennevín. I’ve had it before and it made me want to die, but third time ’round, standing in class, munching on rotten shark? Yeah, it was pretty good. It’s the little things that really surprise me living in Iceland. The things that I take for granted as being the same anywhere, and then come to find are really just not. 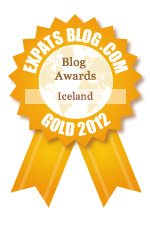 These are often the things, I might add, which Icelanders take for granted, too. Take, for instance, The Mystery of the Missing Vanilla Extract. Last year, when I unexpectedly took to baking, I found myself, naturally enough, needing a lot of vanilla extract. (Seriously, vanilla is the sauteed onion of baking: it is nigh on impossible to find a baking recipe without it.) I had sent my spice collection to us in Iceland but hadn’t thought to send extract because they would totally have that there, right? Well, yes. Kind of. When you go to the grocery store and check the baking aisle, you will invariably find several kinds of extracts: lemon, almond, and rum are pretty standard, and then depending on the time of year and how well stocked your store is, there will also be cardamom extract and peppermint extract etc. What you won’t ever find on the shelf is vanilla extract. Vials of vanilla beans, definitely. But no vanilla extract. Back at home, vanilla beans are particularly pricey compared to extract—I actually got a vial of nice vanilla beans for Christmas one year—and so I found the ubiquitousness of the vanilla bean in Iceland to be pretty strange. Also, why wasn’t there any vanilla extract when they had all these other types? I asked the ladies in my saumaklubbur (sewing club), and they assured me that there was, in fact, vanilla extract in Iceland, but sometimes, it was placed in weird parts of the grocery store. So I started checking spice aisles and around the candy, but still—never any vanilla extract. I checked online how to make your own and discovered that it requires a fair amount of vodka to make. Vodka costs a pinky finger here, so that was right out. And yeah, I had other things to be thinking about besides vanilla extract, so I just gave up and started using vanilla bean.